Flowers are finally blooming and spring has officially arrived by the time we get to April in North Carolina. This is the perfect time of year to travel through the state and attend events happening all around. There are so many going on, that we had to narrow it down to 18 fun things to do in North Carolina in April. We hope you can partake in at least a few, but for now, let’s see which ones you’re going to love the most! Just so you know, more than a few of these April events (along with March) in our Spring Things to Do in North Carolina, too! Also, to keep things organized, we’ve ordered these events in April by starting date, alphabetizing by city when there are multiple going on. Lost Colony Brewery and Cafe in Manteo is one of the many breweries you should visit during NC Beer Month! North Carolina’s brew scene is pretty strong and in April, we celebrate the places that make it happen through NC Beer Month! Even though you should visit throughout the year, April is a truly festive time and when we officially acknowledge the innovation and artistry of North Carolina beer. And if you’re looking for a place to visit during NC Beer Month? Check out our North Carolina Brewery guide! 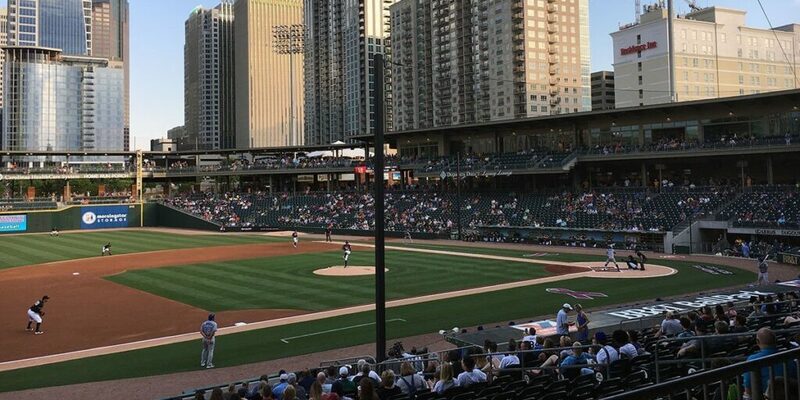 Most of North Carolina’s 11 Minor League Baseball teams get their seasons underway on April 5. Special events they might have going on to celebrate the first pitch of the All-American sport. Don’t forget about NCAA Baseball, too, which started in February but is still going strong in April. Full Frame Film Festival is sometimes referred to as “Sundance of the South.” Filmmakers and film lovers from all over the world folk come to Downtown Durham’s American Tobacco Campus to take in nearly 100 films, and participate in discussions and roundtable panels. Check out the line-up for this year’s 22nd annual festival. At the NC Azalea Festival in Wilmington, be the belle of the ball! Or at least take part of the state’s largest festival to celebrate spring Southern style. Sip on sweet tea and stroll through the historic homes, enjoy the music of Hank Williams Jr and Ice Cube, and practice your wave during the annual parade. You scallywags aren’t going to want to miss the 13th annual Piratefest. Held along the Tar River in Greenville, this year’s event will have live music, BMX, sword fighting, and plenty of vendors on hand. Be there, or dare to walk the plank. Oskar Blues will be one of the breweries that you’ll be able to sample during Moo & Brew in Charlotte. What better way to spend a beautiful spring weekend in Charlotte with Beer and Burgers? The annual Moo & Brew Festival celebrates craft beer and delicious burger vendors by featuring over 100 craft beers and 12 restaurants competing for the ultimate trophy. Proceeds go to the Second Harvest Food Bank, so grab your stretchy pants and enjoy responsibly. Occurring Downtown every April, Mount Olive fills with thousands of pickle enthusiasts for the NC Pickle Fest. Events include the Pickle Eating Contest, Tour De Pickle (25, 53, or 75-mile bike races), and the Cuke Patch 5k. And if you’re not in a competitive mood, Downtown is packed with events, special vendors, and all things pickle! Looking for more to do while in Mount Olive? Check out our Goldsboro weekend travel guide! Celebrate the aviation and freedom of our military at the Festival D’Avion, just outside of Pinehurst. Food, beverages, special events and exhibits compliment this family-friendly event which honors the men and women from all five branches of our Military. Step back in time to 1819 and celebrate the 200th Anniversary of President James Monroe’s visit to Edenton. There, you can dress in historic or formal attire and ballroom dance the night away. You might even get a glimpse of President Monroe. For the third time in the US, over 5,000 competitors from over 30 countries will convene in Greensboro for the 2019 World Irish Dancing Championship. This “Olympics of Irish Dance” will feature competitions in solo stepdance, traditional, and original Ceili dances. Read more an interview with Irish dancer, Tom Cunningham, from our parent site Travel Through Life! Racers from over 20 nations will compete in the largest paddle board race on the east coast in Wrightsville Beach. The five-day event attracts the best professional paddlers and amateurs to compete and attend clinics. You can come and check out the races or hop on a board yourself. Moogfest in Durham is truly a festival for everyone! Head to Durham for MoogFest, where technology, art, and music converge each April. This festival is a showcase for designers and tech companies, but also a place for artists to display installations. Of course, there’s also the music, which will be running throughout the four-day event in the Bull City. 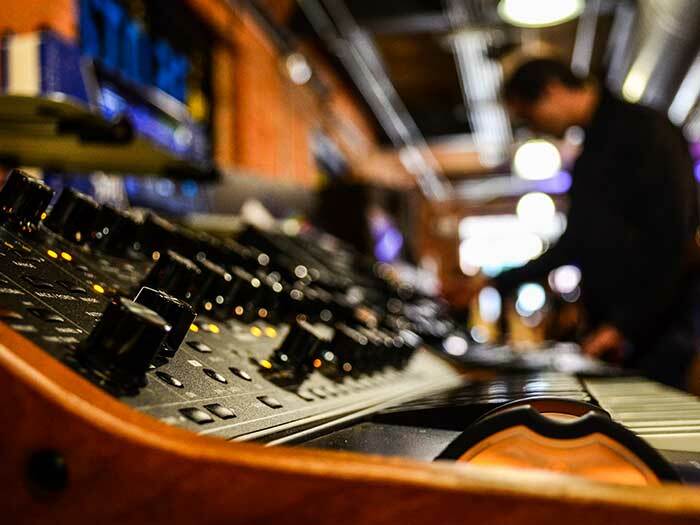 Read more about MoogFest and why it really is a festival for everyone! Considered to be one of the premier music festivals in the country, MerleFest showcases “traditional plus” music in memory of late Eddy Merle Watson, son of the American music legend Doc Watson. And the April 2019 lineup in Wilkesboro includes names like The Avett Brothers, Tyler Childers, Molly Tuttle, and Brandi Carlile. We interviewed MerleFest founder B Townes and you can read all about it here! We know that North Carolina barbecue is a big part of the state’s food scene. For a couple of days in April, teams from all over the nation will come into Lexington to grill and smoke meat at the Kansas City BBQ Society-sanctioned BBQ Capital Cook-Off. Beer, music, and activities for kids make this a mouthwatering event for the whole family. The first ever Jimmy-June Music and Arts Festival will celebrate the people of the South who “make the world more special through their music, visual art, and creations of all kinds.” Proceeds from the festival will benefit the Randolph/Montgomery Counties Family Crisis Center. 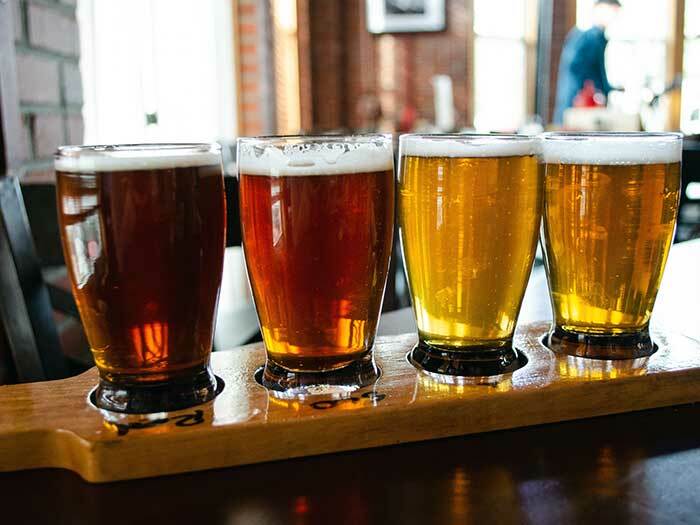 Round out NC Beer month in Hickory at North Carolina’s second oldest brewery! 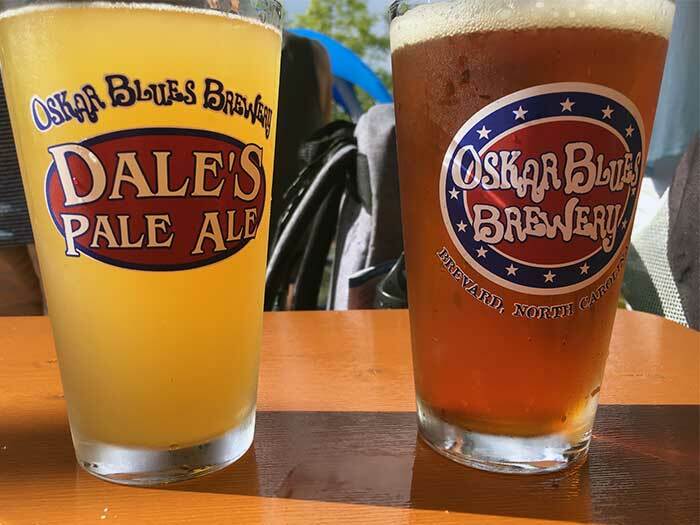 50 breweries and vendors converge at Olde Hickory Brewery for 17th annual Hickory Hops Craft Beer and Music Festival to celebrate delicious brews for a perfect weekend. Looking for more ways to enjoy NC Beer Month? Check out our North Carolina Brewery guide! Planes are a big deal in Goldsboro. Wings Over Wayne is a great tribute to their importance to the Goldsboro area. Every two years, Goldsboro hosts Wings Over Wayne Open House and Airshow, a free event celebrating the history and innovation of aviation. There, you’ll find air shows performed by the USAF Thunderbirds, the US Army Black Daggers, Tora! Tora! Tora!, the Combined Arms Demo, and more. Visitors can also see dozens of aircraft on display, including the F-35 Lightning II, F-22 Raptor, and F-16 Fighting Falcon. 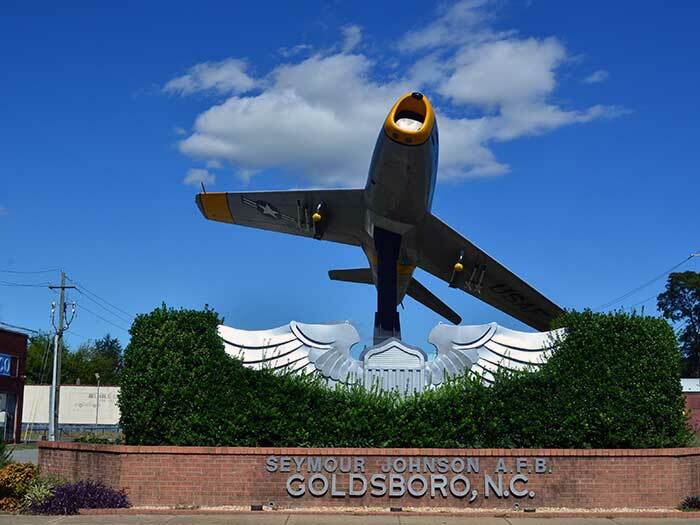 Check out why planes are one of the Four Ps of Goldsboro and how you can experience the other three! So, which April event or events do you plan on attending? Also, is there something we should add to to this list of April events in North Carolina? We’d love to know about it. Send us an email and we’ll take a look! This entry was posted in Travel and tagged Asheville, Carthage, Charlotte, Durham, Edenton, Events, Food, Goldsboro, Greensboro, Greenville, Hickory, Lexington, Mount Olive, Pinehurst, Wilkesboro, Wrightsville Beach.